The first identity sign of a brand is not always its logo. This is particularly true in the cosmetics sector, where this role is provided by the overall visual effect of the packaging. It is the visual identity of the brand that is the best remembered part by consumers. By using a beautiful image, cosmetic packaging can symbolize the physical appearance of the product, and the content, its soul. Note: The visual identity of a brand is made up of visual elements, but also of tactile. Colors, shapes, reliefs and textures are an integral part of the positioning of your products. Designing cosmetic packaging means knowing how to be innovative while respecting a certain number of production constraints. In fact, packaging in cosmetics fulfills many roles: protect, preserve, secure, allow transport or even promote the traceability of products, and so on. The very development of cosmetic packaging is limited by constraints. At the top, it is the economy. Be conscious of this reality, professionals in the sector are constantly innovating to offer solutions that are perfectly suited to brands. Cosmetics packaging has observed the number of components increased from 14 to 7 in just a few years. As for the weight of cosmetic packaging, it melts like snow in the sun! From a technical point of view, the primary function of cosmetic packaging is the preservation of the product and its active ingredients. To work in a way and to pack a product is therefore, first and foremost, to protect it throughout the production, distribution and consumption chain. Another role of conditioning is to “keep away” the various gases, light and water vapors. Cosmetic packaging must, in particular, avoid bacteriological contamination. The glass is, for example, one of the most stable materials. This is the reason why it is widely used in the pharmaceutical and cosmetic skin care industry. Cosmetic packaging plays a key role in the purchasing decision. Product packaging results, indeed, by recognition. The packaging allows differentiation and identification of the offer, to better distinguish it from its competitors. Well thought out, cosmetics packaging improves sales, because they attract the eye of the consumer quickly. In store, buyers do not return often, hence the importance of being spotted quickly worth a great consideration. 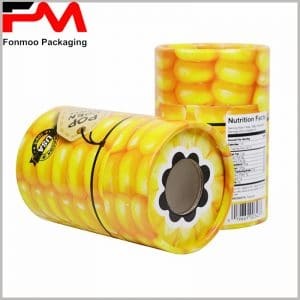 The packaging also facilitates the first contact and helps the customer to understand the message and the qualities of the product, which can influence his decisions. Finally, the packaging is a real loyalty tool that is able to optimize the customer relationship. The ecological aspect of packaging becomes an essential element in organic cosmetics, in slow cosmetics, but also conventional. Consumers, more aware of these issues, now have real expectations in this aspect. This is why eco-design is now entering the world of packaging. An approach which mainly involves a work of optimization of the packaging with respect to the volume produced and on the limitation to the maximum of the losses. In this perspective, some brands are now choosing lighter containers, using less raw material and perfectly recyclable. Another example is tube boxes that minimize product losses. Now, you may have your own idea of choosing cosmetic packaging. Why not go and take a look at various cosmetic tube packaging box we are offering to see if one matches your expectations?